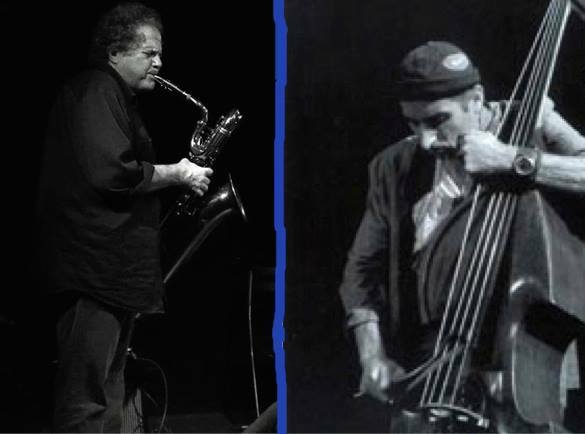 The Ciné-Concert Project was founded by Stephen Horenstein and Lior Navok, with production by the Jerusalem Institute of Contemporary Music. The live-film score repertoire, created from 2010 to 2017, includes Nosferatu (1922, Dir. F. W. Murnau), Dr. Jekyll and Mr. Hyde (1920, Dir. John S. Robertson); Der Golem (1920, Dir. Paul Wegener) and The Lodger (1927, Dir. Alfred Hitchcock). NOW a NEW RELEASE, January 2017! 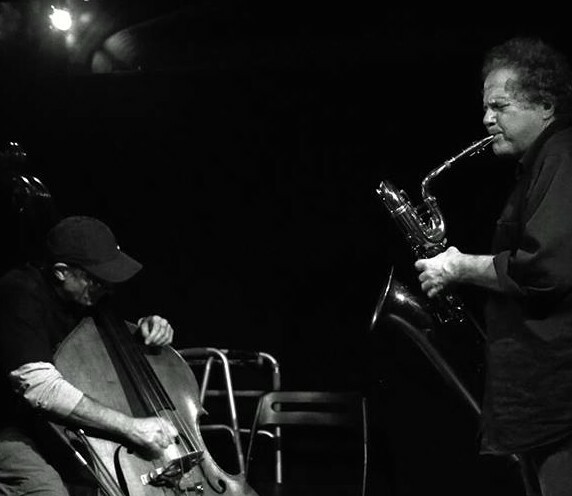 A year-long collaboration between Jean Claude Jones (contrabass) and Stephen Horenstein (baritone Saxophone) finally comes to fruition with this forthcoming release. Two play as an orchestra, exploring a special Japanese bass tuning and array of baritone multiphonics, creating a surprising unity between the two instruments. The release includes an extended audio CD as well as a DVD of excerpts and narrations. Purchase at amazon.com and CD Baby. Five tracks of two players like an orchestra. This extended collaborative composition by Jones and Horenstein was one year in the making. It explores the many hidden timbres of these two instruments (contra bass and baritone saxophone), built from a traditional Japanese bass tuning which naturally produces the “parent scale” (Eb Lydian Augmented) which re-occurs throughout the piece. We breath new life into into classic silent films. The Butterfly Effect Ensemble. Stephen Horenstein, winds and live electronics; Jeffery Kowalksy, percussion; Lior Navok, piano. Our latest creation, a new score to Dr. Jekyll and Mr. Hyde (1920) with John Barrymore, premiered in the Festival D’Ile de France, 2013.